My Fair Princess <還珠格格>, the hit 90’s TV drama about a Qing Dynasty princess, will be having a film version produced by the princess herself, Vicki Zhao (趙薇). 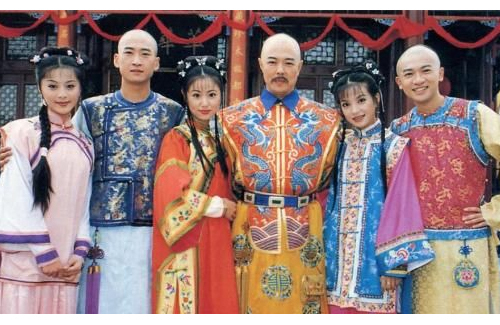 The 1998 television series, co-produced by Taiwan and China, became an instant classic when it aired and kickstarted the long-running careers of Vicki Zhao, Ruby Lin (林心如), Alec Su (蘇有朋), and Fan Bingbing (范冰冰), all only rookies at the time. Last year, Tencent Pictures revealed their intentions to adapt the TV series into a full-length feature, and Vicki Zhao, who played the princess Xiaoyanzi, is rumored to be in talks to be returning in a producing role. There is no official word on the cast yet, but a rumored list that has been circulating around seems to indicate that studios have already found their lead characters. According to the list, So Young <致我們終將逝去的青春> actress Yang Zishan (楊子姗) will allegedly star as Xiaoyanzi, while Story of Yanxi Palace <延禧攻略> actor Xu Kai (許凱) will play the fifth prince, Yongqi. Ziwei will be played by Cold War 2 <寒戰2> actress Janice Man (文詠珊), and Erkang will be played by Legend of Yunxi <芸汐傳> actor Zhang Zhehan (張哲瀚). Several stars from the original cast is also rumored to be making guest appearances in the film. Alec Su, who originally played Yongqi, will allegedly return not only as director, but will also be playing Emperor Qianlong, Yongqi’s father. Ruby Lin, who played Ziwei, will make a special appearance as Xia Yuhe. Qin Lan (秦嵐) will play Yongqi’s birth mother. Not many netizens find the list believable, as Yang Zishan, who is already 32 years old, seems a bit out of the age range of Xiaoyanzi, a teenager. Janice Man never starred in Story of Yanxi Palace, but the list introduced that she was an actress on the show. Ho Hsiu-chiung (何琇瓊), the daughter-in-law of My Fair Princess creator Chiung Yao (瓊瑤), has said that the list is false information. Is Chung yao dead, how come we are not sure if she’s the producer? Is there no more copyrights on that story? I thought there is a big dispute between her and Yu Zheng, are they back together already? Xu Kai and Zhang Zhehan are from his agency? Anyway it is an interesting news if this is true, sounds like a big mess! Alec Su as emperor…we all like Alec and I would be happy to hear of his return to filming, but he probably still have a baby face? The emperor should look strict for this particular story. Janice looks like a little girl, she would not be a match for Ziwei at all. No complaint about casting her as XYZ instead. While Yangzi Shan looks extremely mature, she would not be a good match for XYZ at all either. I can picture her as ZW better. I can totally see Xu Kai as the fifth prince. Yang zishan does not fit the role as xiaoyanzi..